February 22, 2010 - On Friday the U.S. Court Of Appeals For The Second Circuit ruled in favor of Diane Gorzynski, a former employee with JetBlue who accused the airline of age and gender bias, creating a hostile work environment, and firing her in retaliation for complaining back in 2002. Gorzynski was a customer service supervisor at the Buffalo International Airport in New York before being fired. 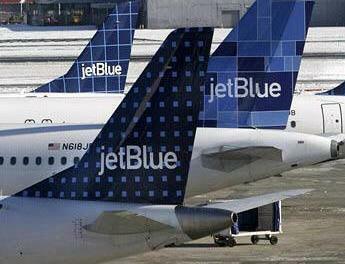 JetBlue Airways hired Diane Gorzynski in January 2000, as a customer service agent. Four months later Gorzynski was promoted to supervisor. From that time on Gorzynski states that she witnessed behaviors from her superior and subordinates that were racist and sexist. Gorzynski stated that on one occasion her supervisor had stated over an intercom system during a boarding call that Gorzynski had been a table dancer and a female colleague had been a pin-up girl. Gorzynski also stated that some younger workers were excused from mandatory bag search, regularly violated conduct and time off policies without being disciplined, and that she had come to the defense of a Black employee who had been subjected to racial bias. Gorzynski brought this to the attention of management and as a result she was fired. JetBlue stated Gorzynski was fired because of her "unsatisfactory interpersonal skills." In a 31 page opinion, the U.S. Court Of Appeals For The Second Circuit stated that Gorzynski had produced ample evidence of mistreatment, and which cast "significant doubt" on JetBlue's purported nondiscriminatory reason for her firing. Gorzynski appealed the dismissal, on summary judgment, of her employment discrimination action based on claims that she suffered a hostile work environment, age discrimination, and retaliation for complaints of race and age discrimination. Upon JetBlue’s motion for summary judgment, the United States District Court for the Western District of New York (Elfvin, J.) dismissed Gorzynski’s Complaint in its entirety. In particular, the District Court found that JetBlue was entitled as a matter of law to the Faragher/Ellerth affirmative defense to Gorzynski’s hostile work. JetBlue argued that because Gorzynski complained of sexual harassment to her supervisor, who was also the harasser, rather than pursing alternative options listed in her employee manual, it is shielded from liability. We must therefore determine whether, for the purposes of the Faragher/Ellerth defense, it is unreasonable as a matter of law for an employee to complain of sexual harassment to his or her harasser if that person is designated in the employer’s plan as one of several persons with whom to lodge complaints.